WOW! 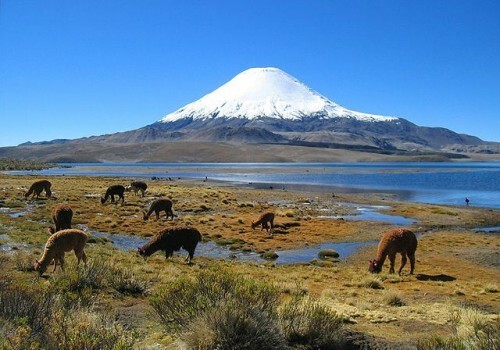 Super cheap flights to Chile from Germany for only €290! You can now book return tickets from Frankfurt to Santiago de Chile for only €290! This is obviously an error fare available only through handful of German websites. There is 1 stopover in Sao Paolo in Brazil and sometimes also in Madrid. Travel dates are in November and December 2016. Normal tickets to Chile from Europe cost at least €700! Book fast via Skyscanner and then finish the purchase at one of the booking sites such as Tripado, Elumbus, etc (German language only, use Chrome to translate the text). Chile is a cheap country with plenty of affordable accommodation options, so just compare the best deals with our hotel comparison page. You can also try Agoda discount coupon for 8% discount from all hotels in Chile. « Ryanair expands: 7 new routes from Berlin and Porto!